Serrrrriously! I am loving these deals from the online boutiques! Often times, I am bummed that they never have that great of sales. When they do, they are so picked over and the clothes are almost from two seasons ago, haha! THE WORST. Today is our lucky day. Use code BLCKFRIDAY for an extra 30% off site wide. This deal ends 11/27 at 11:59. Go to: shopruche.com for these deals! Here are some darling picks that I think are super great deals. 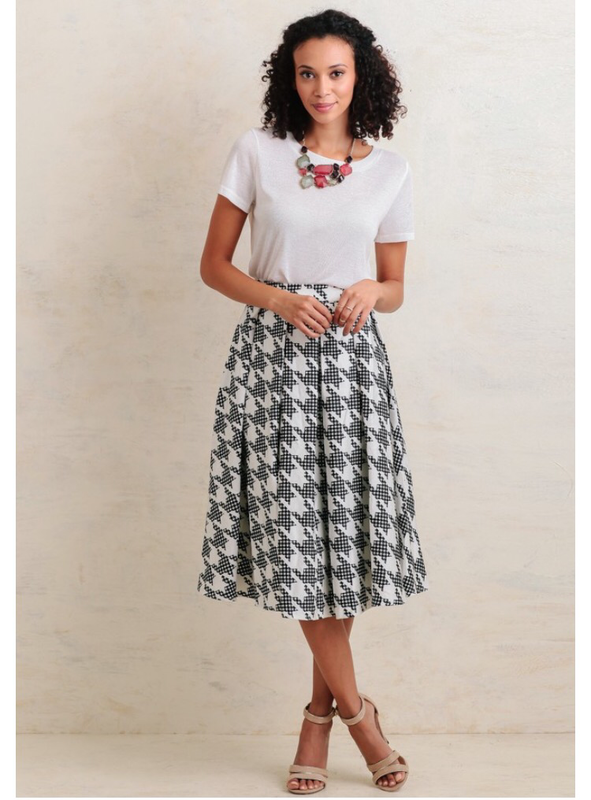 Cheshire Road Midi Skirt- A exquisite large houndstooth print at a great price! $34 with code. Get it [here]. 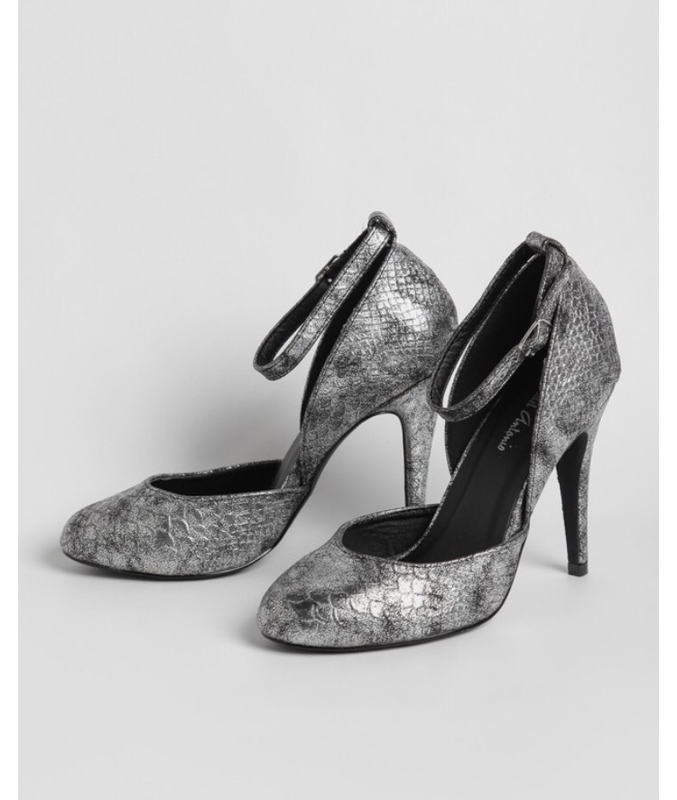 Locke metallic pumps- wowzaaaaa this deal is ridiculous! Only like $10 dollars with code, hurry because these are selling out quick! Get these beauties [here]. 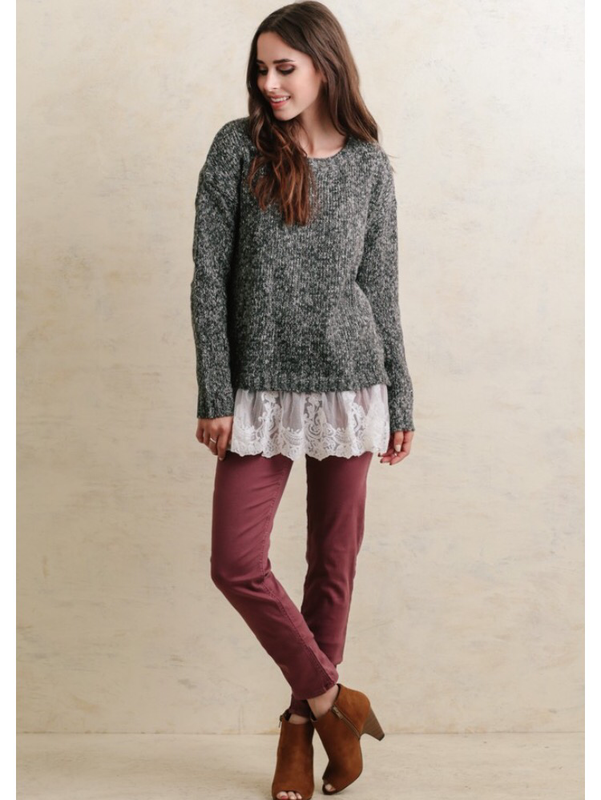 White woods lace accent sweater- so darling! A new arrival but the code still applies to this magnificent winter piece. More expensive at $45 with code, but maybe a splurge gift for your favorite friend 🙂 Get it [here].